Did you take your vitamins this morning? No? Good. 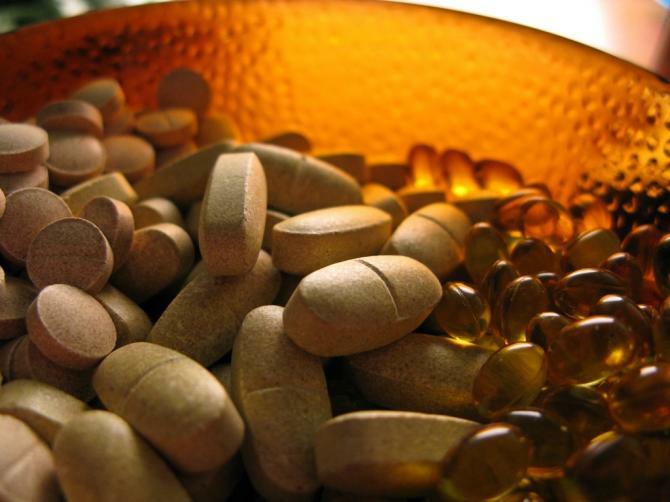 An article in Alternet surveys the growing case against multivitamin supplements, and concludes that unless you have a chronic nutritional deficiency that cannot be remedied by other dietary adjustments, you might be better off staying away from vitamin pills. Over the past decade, a slew of scientific studies have concluded that the vitamin pill, though once hailed as essential to a healthy diet, does not really do anything at all when it comes to preventing chronic illness or lengthening lifespan. In 2006 and 2009, the Agency for Healthcare Research and Quality published two papers that both combed through massive amounts of collected data in an effort to evaluate the effectiveness of multivitamin supplements. The results? The pills were shown to do absolutely nothing to prevent cancer, heart disease, or any other cause of death. In another study published in the International Journal of Epidemiology, French researchers enrolled over 8,000 volunteers in a six year experiment where subjects were administered either a multivitamin or a placebo. At the end of the experiments, those administered vitamins showed no improvement over the other group. The illusion of health and well-being associated with multivitamins might simply be the result of a reversed causality: healthy people who take multivitamins every day are not healthy because of the content of the pills, but because they already care enough about their health to take these pills. For example, vitamin users tend to exercise more and smoke less – two things that actually do affect your health. But are multivitamins actually harmful? When you think about it, the multivitamin market is a very strange market. Very few bottles come with any instructions whatsoever, and even fewer advertise results or benefits associated with a particular pill. Instead, the insanely profitable business taps into common sense, and the mantric eat-your-vegetables rule instilled in us as kids. Just like with fruit and vegetables, you can’t really go wrong with it – right? Besides being subject to notoriously lax regulations, the multivitamin industry grossly inflates the content of its products, cramming a single pill with 400% of the recommended daily dosage of many vitamins. Contrary to popular belief, this is in no way a good thing. While it may be a bit premature to dismiss the entire industry as some kind of long con, the studies of the past decade should at least prompt a reevaluation of the way we consume dietary supplements. The perfunctory, more-equals-good attitude is not only needlessly expensive – it might even have the opposite effect.